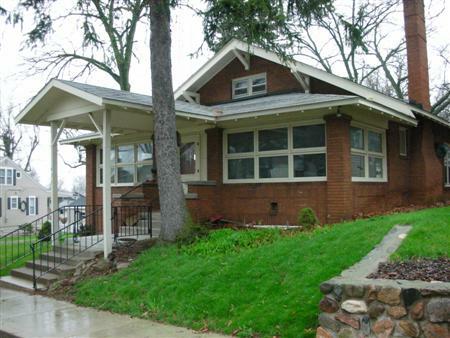 Culver, Indiana: Newly freshened up 3 bedroom, 1 bathroom home 1 block north of Lakeshore Dr. in the heart of uptown Culver. A block from the park/beach and restaurants, enjoy peaceful walks along the lake shore and through the paths to Culver Academy. Wall unit air conditioner, full size washer and dryer, and screened-in porch for your comfort. 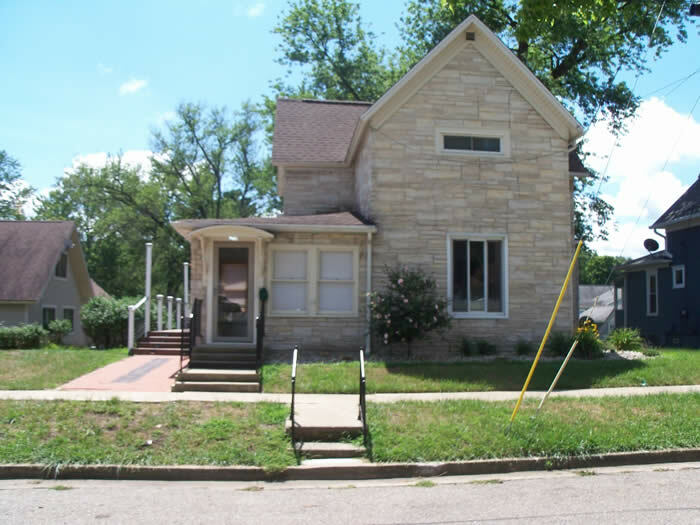 Culver, Indiana: Lovely 3 bedroom, 2 bathroom home is located very near the downtown, close to the library and shopping. It is also just up the road from the walking path to the beach. The landing upstairs offers a daybed and extra space. 2 bedrooms have a queen bed, and third bedroom has 2 twins. New central air has been installed and a private backyard offers a patio. Washer/dryer included. Pet friendly with pet deposit. This home can sleep 8. 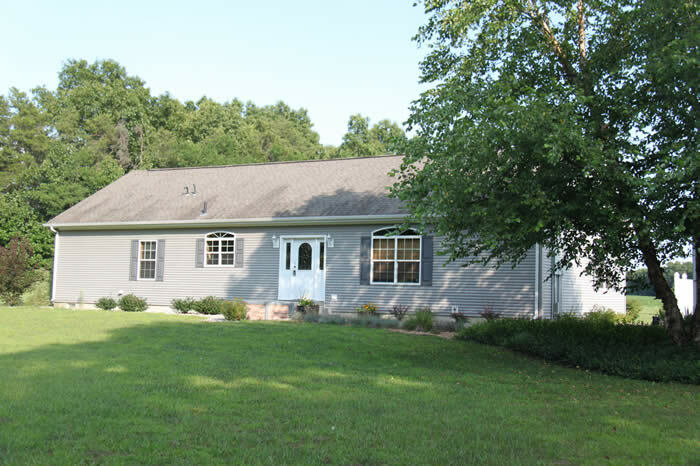 Culver, Indiana: Very pretty 3 bedroom, 2 1/2 bathroom home located only 3/4 mile from the Culver Academies. One bedroom downstairs has a full size bed and connecting bathroom with shower. Upstairs bedrooms have 2 twins in one and one queen size bed in the other. Upstairs bathroom has a bathtub/shower. Window air conditioners will cool the entire house. Living room couch is queen size sleeper sofa. Wireless Internet and washer/dryer included. Can sleep 8. INCLUDES gas, electric, water and trash! 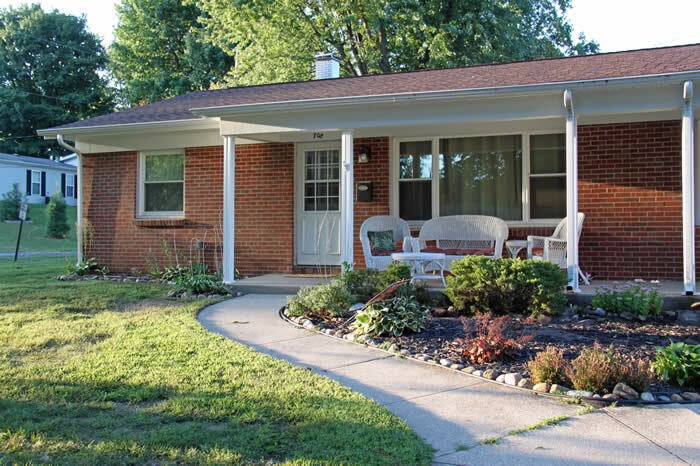 Culver, Indiana: This cozy, family friendly home is just a block from the beach and minutes from downtown. This 3 bedroom 1 1/2 bath home offers an updated kitchen, dining room and seperate tv room located just off the living room, along with a 3 season porch. All bedrooms are located upstairs, one having 2 twin beds, one having a full and a daybed, andthe last one having a king size bed. This house sleeps 7. Along with the bedrooms, the upstairs has 1 full bathroom and laundry. This home also has great outdoor space which includes patio and grill. Central air and DirecTV. Use mobile hotspot for internet. 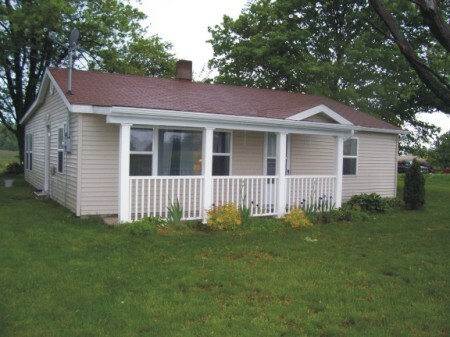 Culver, IN: This 2 bedroom/1 bathroom home is just a few blocks from town and close to highway 17. Culver, IN: Beautifully remodeled 3 bedroom, 2 bathroom home, just 3 blocks from downtown restaurants, shopping and library. 3 bedrooms are all upstairs, one having a queen bed, one having a queen and twin bed, and the other having a full bed, providing sleeping for 7. One spacious full bathroom upstairs has a garden tub and shower. 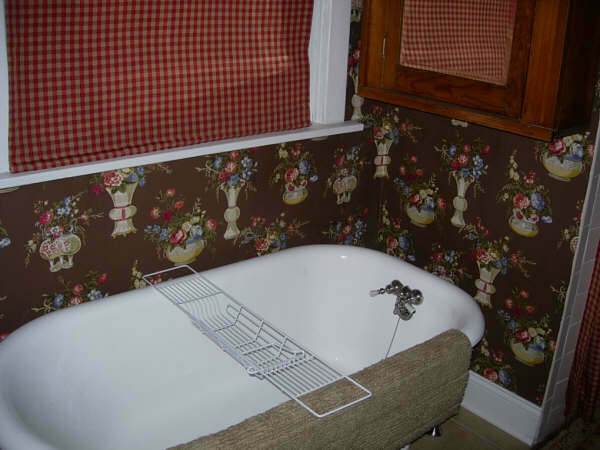 Full bathroom downstairs has a claw-foot tub/shower. Dining room can seat 6, with additional seating in the kitchen. The bright and cheerful kitchen has a gas range, dishwasher, and microwave. Flat screen TV is located in the living room, with NBC, CBS, FOX, Netflix, and Hulu Plus available, as well as Blu-ray player. Partially finished basement has foosball table and kid's toys for a fun kid get-away spot. Gas forced air heat and central air. Wireless internet provided. 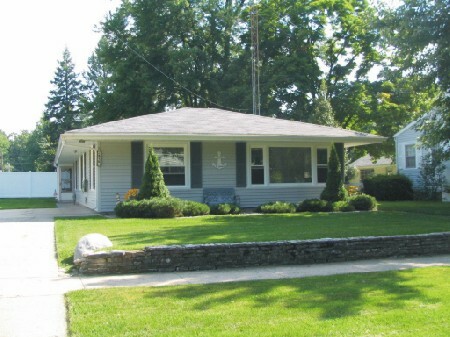 Culver, Indiana: Enjoy the peace and quiet in this 3 bedroom 1 bath home in the Lake Latonka subdivision. This cute, cozy home has an eat in kitchen and 2 car attached garage. Newly painted and nice clean carpet in living room and all bedrooms. Seperate laundry room just off the kitchen. Nice deck off the garage looking out to a large yard with a shed to store lawn equipment. 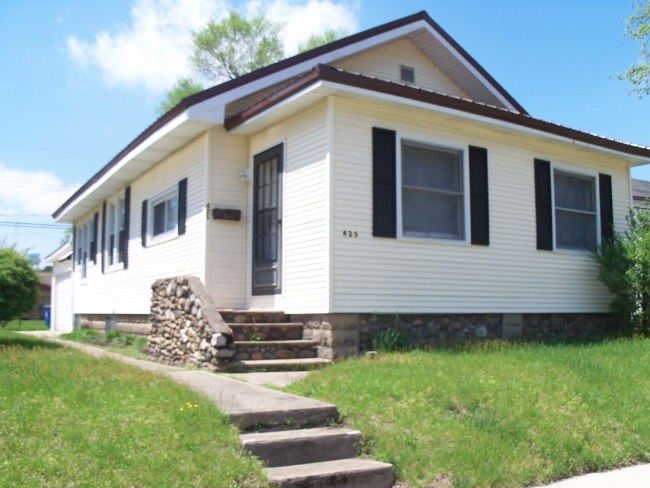 Culver, Indiana: Newly remodeled three bedroom, one bathroom home is located just blocks from downtown Culver. Clean feeling throughout with hardwood floors and stylish decor. Skylights in the kitchen give a bright, cheery ambiance. Bedroom downstairs has a queen bed. Full bathroom downstairs. Two more bedrooms upstairs - one is semi-private with queen bed. Third bedroom has 3 twin beds. Sleeps 6 in all. Attached garage, and cute deck off the garage with fenced in yard. 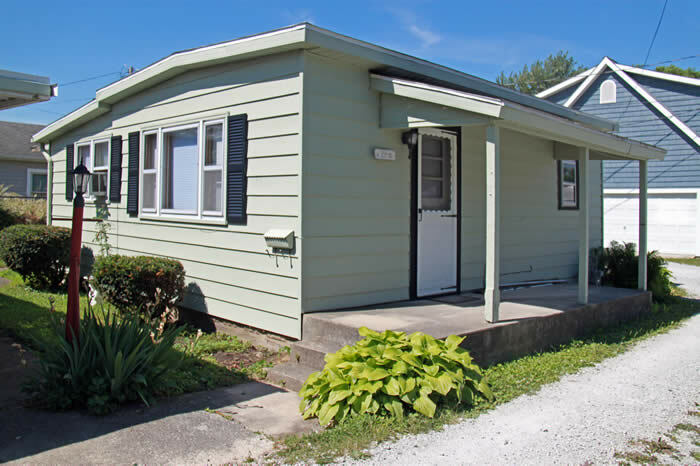 Culver, IN: Clean, cute one bedroom/one bathroom apartment just south of town. North side of a duplex, this apartment offers comfortable living, with central air, gas range, refrigerator and stackable washer/dryer. Back patio for a relaxing get-away, and off-the-road parking in front and back, as well as detached garage for one car. $750/month includes gas, electric, water and trash costs. 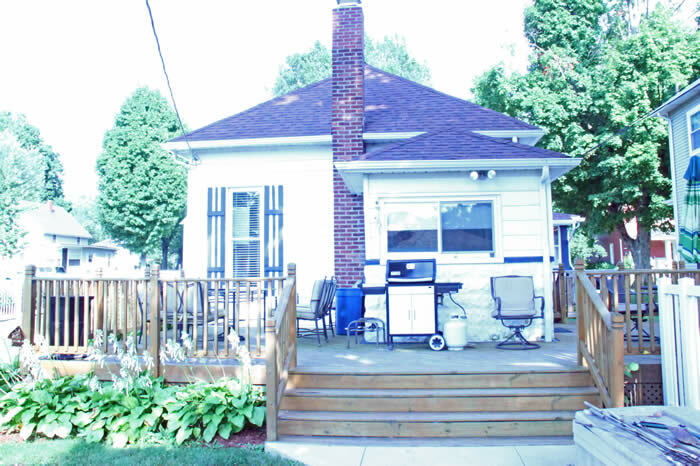 Culver, Indiana: This three bedroom, two bathroom home is located just blocks from the Park and Beach. Beautiful older home with newly remodeled kitchen and outside deck for outdoor dining and relaxing. Covered porch area in front. Just over one mile to the Academy. Central air, washer/dryer, Wifi, and parking in back. Sleeps seven comfortably with one bedroom having a full and twin bed, and two each having a queen bed. 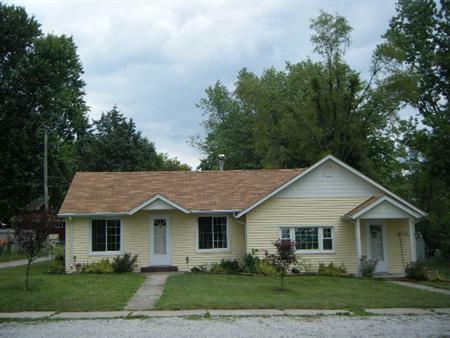 Culver, Indiana: Relax in this recently updated 3 bedroom, 1 1/2 bathroom home, located just blocks from downtown Culver. Settle down for the night in the spacious living room with gas fireplace and cable TV, opening onto the dining room area with a beautiful table to seat 6. The galley kitchen offers all modern appliances for your convenience. One bedroom downstairs has a queen bed. Nearby bathroom has a shower and whirlpool tub! 2 more bedrooms upstairs: one has a queen bed along with a twin, and the other has a full bed. 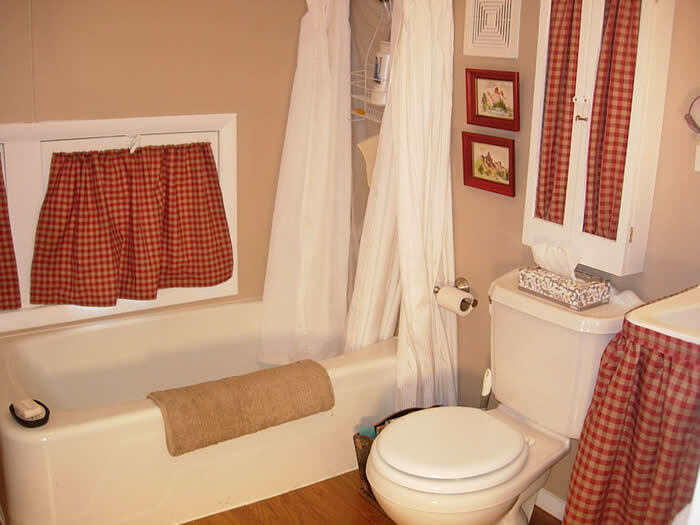 1/2 bathroom upstairs. Central air, washer/dryer and Wifi, and cozy porch! 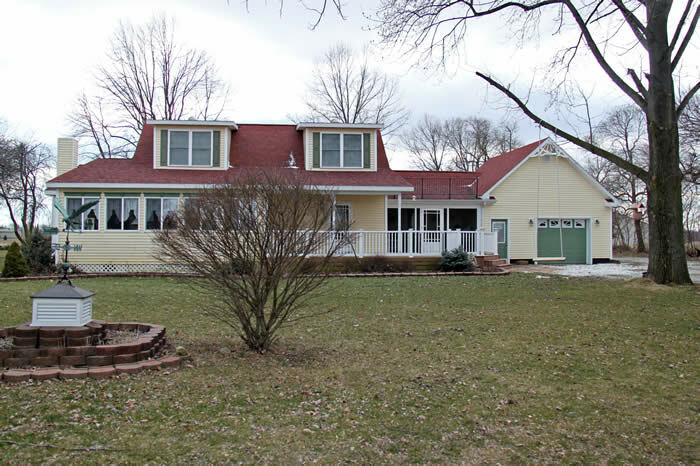 Culver, Indiana: Beautiful, secluded country home. Private driveway leads back to this home, which cannot be seen from the road. 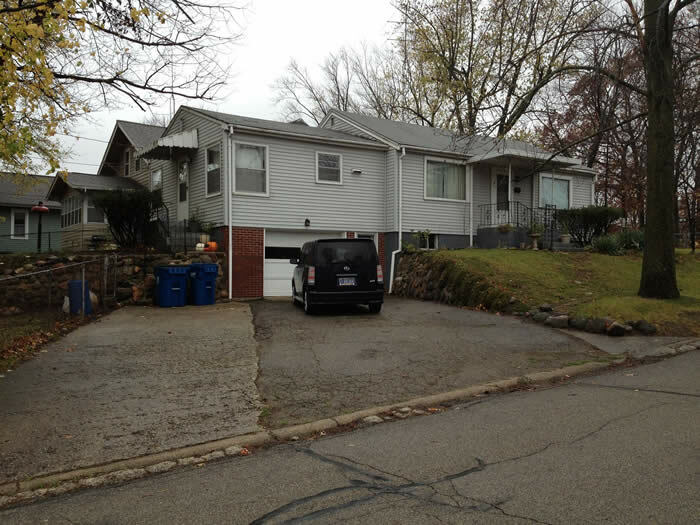 3 bedroom, 2 bathroom, one-level home with a 3 car garage. Master bedroom has an attached office area as well as attached bathroom with whirlpool tub. 2 other bedrooms share the second full bathroom. Hardwood flooring through kitchen and living room areas. Open concept kitchen to living room. Wood burner stove in living room. 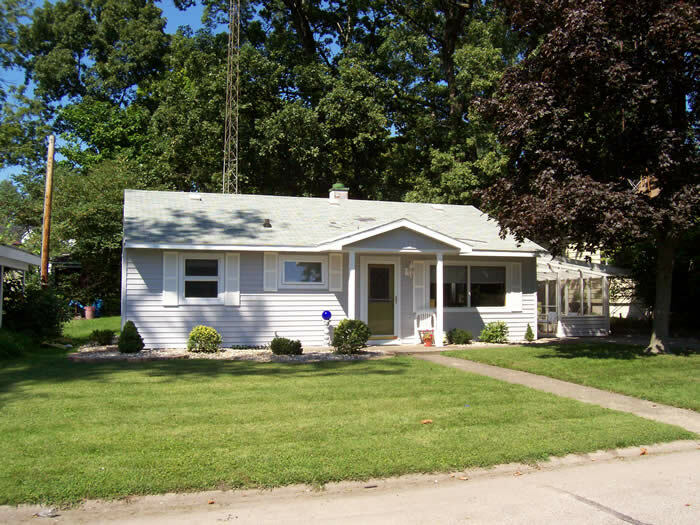 Culver, Indiana:Cozy 2-3 bedroom home close to downtown. Spacious loft area can be used as a third sleeping area. Kitchen opens up to separate dining room. Master bedroom with full size bed has attached bathroom on main floor,along with another entrance from the kitchen. Second bedroom upstairs with a loft twin size bed. Has a great front patio to sit and relax, also a spacious mud room off the back door complete with washer and dryer. The big fenced-in yard completes this lovely home. 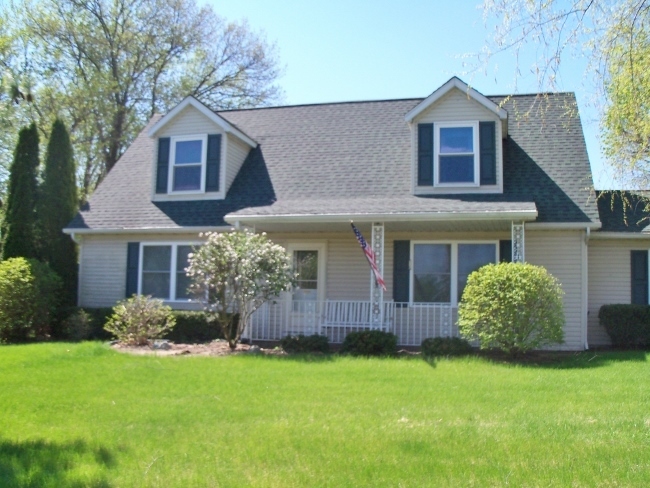 Culver, Indiana: Beautiful 3 bedroom/2.5 bathroom home with new paint and flooring throughout. 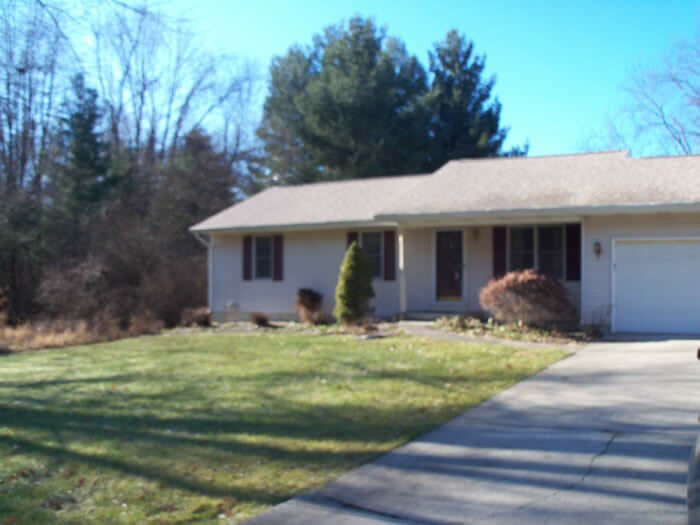 Spacious home with large kitchen, dining room, family room, bedroom, 1/2 bathroom, and office space on main level. 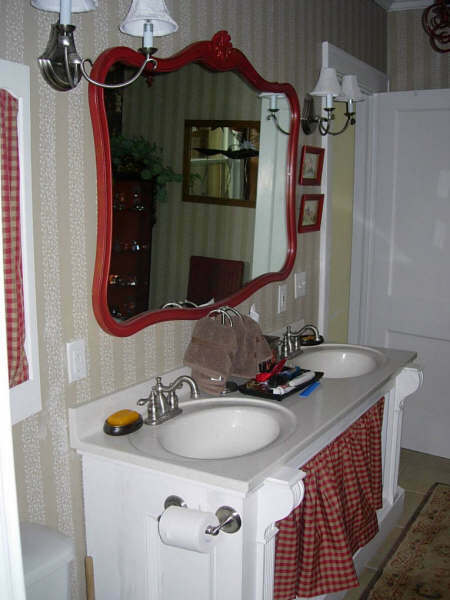 Upstairs bedrooms have private full bathroom each . Central air. Storage area in basement. Cute covered porch on front of house. One block south of downtown Culver. $775/month plus utilities. 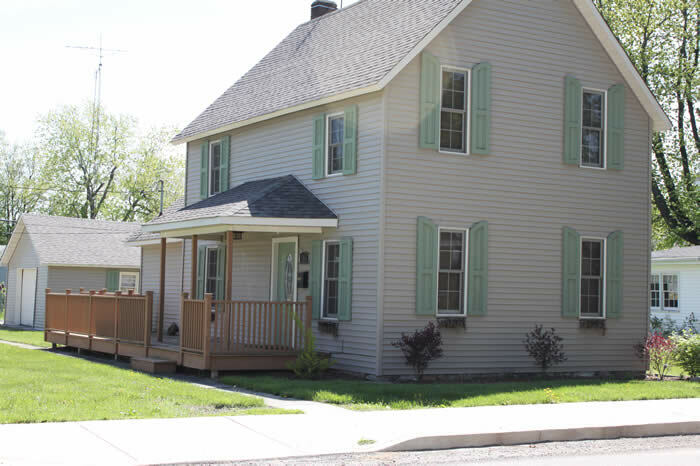 Culver, Indiana: Unfurnished home in downtown Culver with 2 small bedrooms and 1 bathroom. Laundry room downstairs. Kitchen upstairshas small gas range and refrigerator. Bathroom is upstairs as well. Central air. Cute deck in front of house. Newer carpet. No mowing in this yard! Weed control and plant care only. $650/month plus utilities. 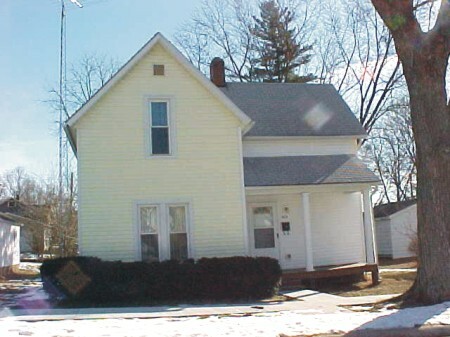 Culver, Indiana: 3 bedroom/2 bathroom home on Main Street. 1 bedroom with queen bed, and 1 bathroom downstairs, and 2 bedrooms, one with queen bed and one with 2 twin trundle beds, and 1 bathroom upstairs. Queen sleeper sofa in the living room. Home sleeps 10 with sofa sleeper. Kitchen conveniences - dishwasher and built-in microwave. Central air, washer/dryer. 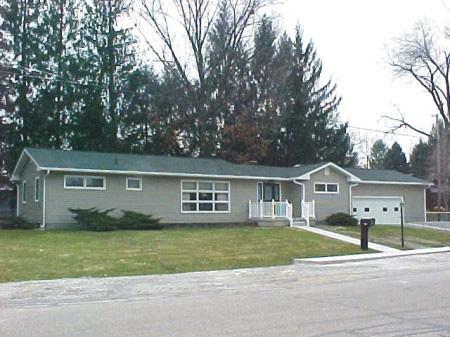 Culver, Indiana:Newer built 3 bedroom/2 bathroom home in the country, close to Culver Academies. Open concept living all on one floor! Master bedroom has king size bed and attached bathroom with walk- in shower. Second bedroom has a full size bed and 3rd bedroom has a twin bed. These bedrooms share a bathroom with tub/shower. Gas fireplace in living room with 55" flatscreen, includes satellite movie package. Kitchen offers modern conveniences. Central air, wifi, and washer/dryer available for your use. Downstairs is a comfortable family room area. Whole house generator to protect, in case of power outage. Lovely deck off the back ready for you to sit, relax, and enjoy the peaceful country setting. 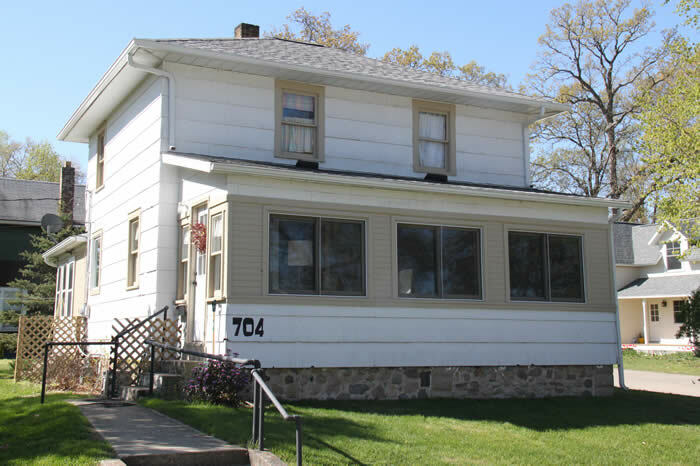 Culver, Indiana: This one bedroom apartment located in a triplex is only a couple of blocks from the library, CVS drug store, shops & restaurants. Close to schools and churches as well. Rent of $600/month includes lawn care. Utilities are shared with apartment above. Laundry room with washer and dryer provided. 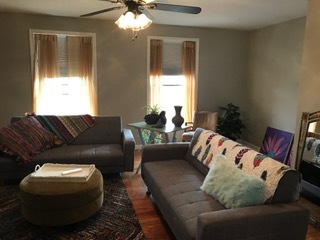 Culver, Indiana: This two bedroom apartment located in a triplex is only a couple of blocks from the library, CVS drug store, shops & restaurants. Close to schools and churches as well. $450 rent includes lawn care. Utilities are shared with apartment below. Culver, Indiana: Cute and Clean! Newly rehabbed 3 bedroom, 1 bathroom home sits on Main St. just south of downtown restaurants and shopping. Two bedrooms have full beds, third bedroom sleeps 3 with full on bottom and twin on top bunk bed. Nice open kitchen with stainless steal appliances. Central air. Comfortable stay while you visit Culver. 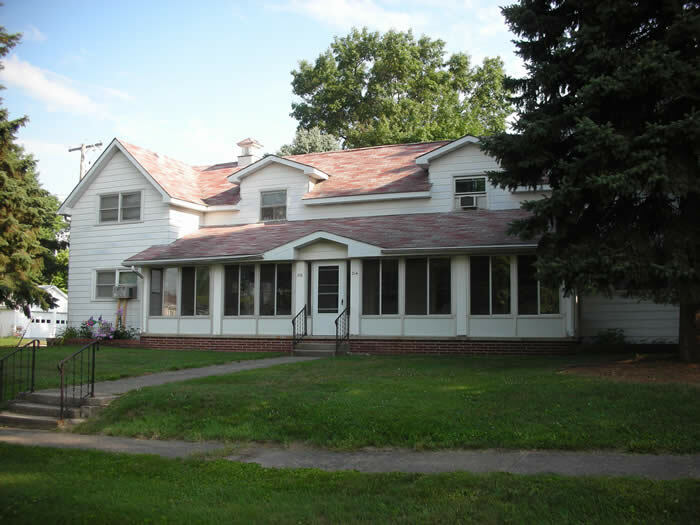 Culver, Indiana: Location is key to this house, just a few blocks from the Academy to save on parking hassles! Master bedroom has a king bed and attached full bathroom. Other 2 bedrooms have a queen bed each, to sleep 6 comfortably. One other full bathroom. Smaller galley kitchen opens onto dining/family room. Larger living room for a nice gathering, with a smaller comfortable 3 season porch on the west end. All bedrooms are on the east end of the house. No dishwasher, but other conveniences include full washer/dryer and central air. 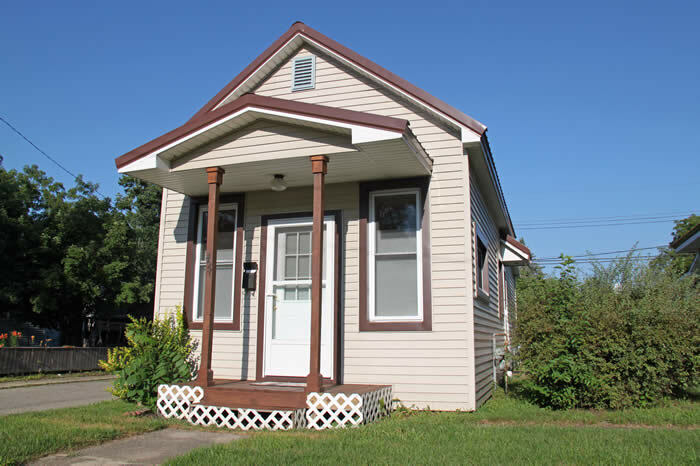 Culver, Indiana: Location is the benefit to this one bedroom, one bathroom rental. 1/2 block from the park, and so close to the uptown restaurants and beach. Kitchen provides refrigerator and stove, and older washer/dryer is in functioning order. New carpeting and paint. Off-street parking. Be right in the activity of Lakefest, Fireman's Festival, and enjoy the Lakehouse Restaurant, Coffee Shop, or Papas without having to find a parking space! Just over 1 mile to Culver Academies. $500/month plus utilities. Culver, Indiana: This gem of a home is close to the schools, has 1.5 baths, and 3-4 bedrooms (one could be used as a family room). 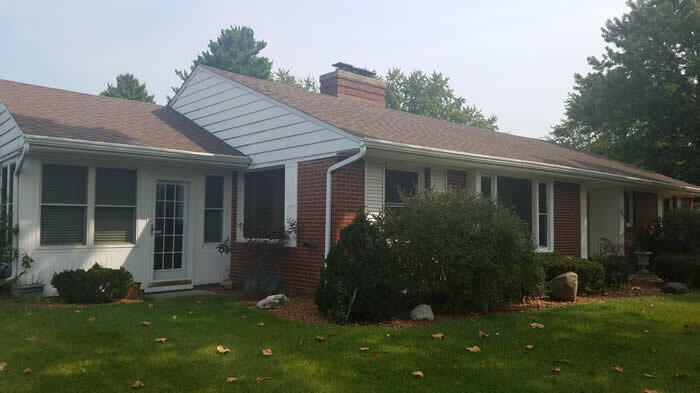 Many updates are finished on this home, some include new vinyl siding, front door, leaf guard gutters, new roof, garage door, updated efficiency furnace, and much more. This unfurnished home also has an attached oversized garage, concrete sidewalks and driveway approach. 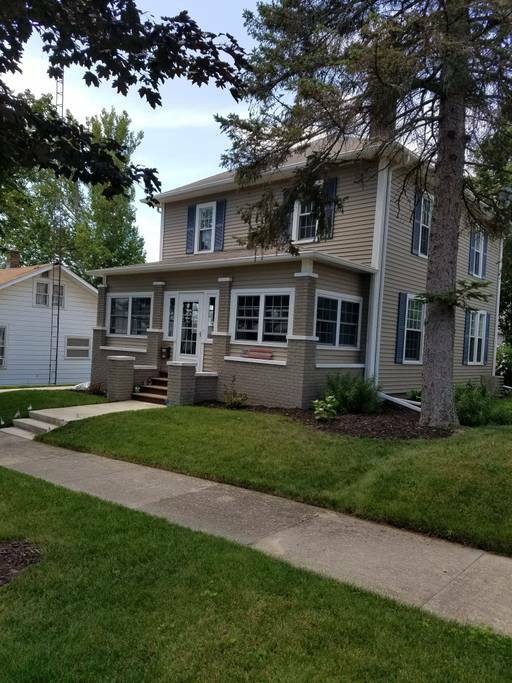 Culver, Indiana: This beautiful, newly remodeled four bedroom, two bathroom home is just up the road from the park/beach. Two bedrooms on the main floor have a king and full bed, and there is a queen sleeper sofa in the living room. The bedroom upstairs "dorm room" is a converted attic space and has 6 twin beds, a child's day bed, and a single futon. The bedroom downstairs off the basement has a full bed. Sleeps 14-16 in total. Beautiful hardwood floors, and wonderful lake views from most rooms. The enclosed, front porch is so inviting. Central air and washer/dryer available. 1 gas and 1 charcoal grill available. Close distance to the Academy! 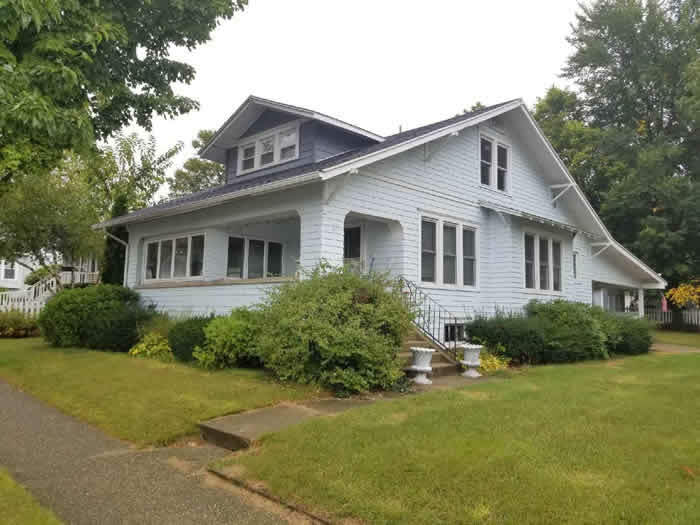 Culver, Indiana: Located right on Lakeshore Dr., this newly freshened up 4 bedroom, 2 bathroom home is blocks from downtown and uptown Culver. Approximately 2 blocks from the park, beach and restaurants, enjoy your stay in Culver without the hassle of moving your car. 1 bedroom with queen bed, and full bathroom on the main floor, with 3 more bedrooms upstairs (2 twins in 2 of the rooms, and 1 twin in the third bedroom) and bathroom with shower. Cute covered front porch and roomy carport for your car or entertaining. Central air adds to the amenities. Short distance to Culver Academy. 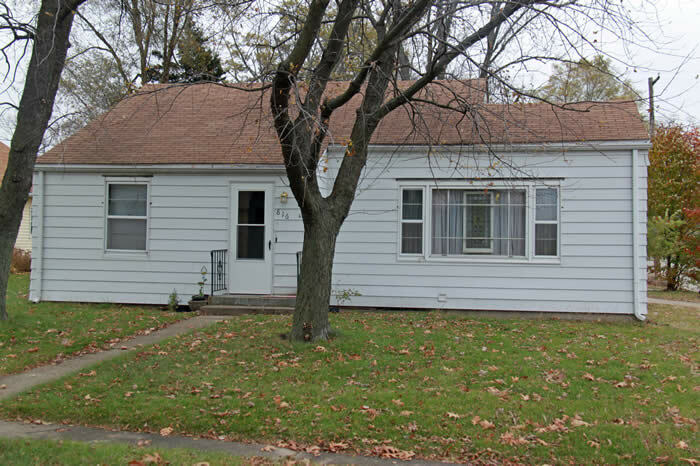 Culver, Indiana: This remodeled 2 bedroom, 1 bathroom home is located 1 1/2 blocks west of CVS - close to shopping, restaurants, library. Nice covered porch on the front, and very cute tiled porch off the back of the house. Wall air conditioner unit, updated insulation, and newer windows throughout. Updated kitchen and bathroom as well. Washer/dryer available. Clean and great location! Pet friendly with pet deposit. 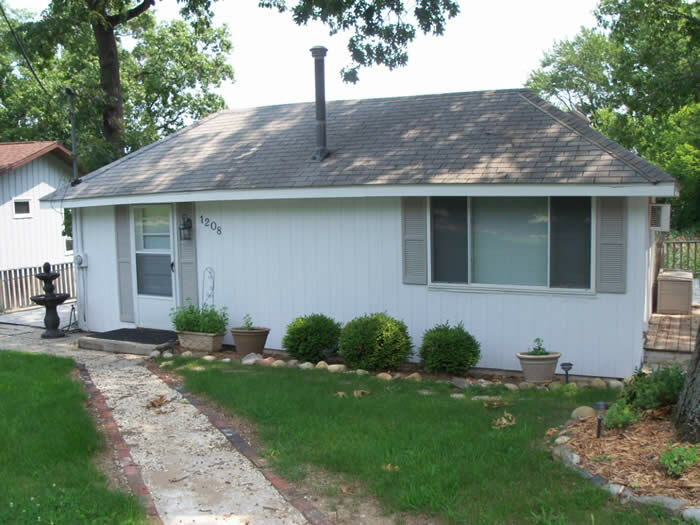 $625/month plus utilities, yard care, trash removal. 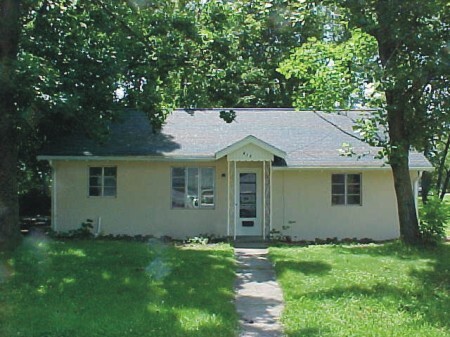 Culver, Indiana: Clean and neat two bedroom, 1 bathroom home available for rent year-round. Hardwood floors throughout! Cute screened porch off the back, and one car garage. Full unfinished basement with washer/dryer hookups. 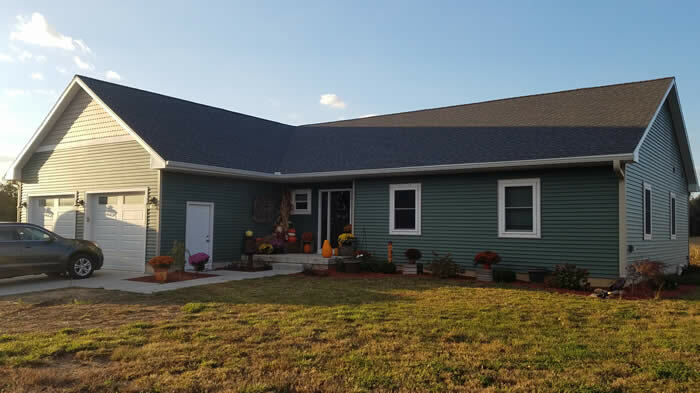 New siding and windows installed 2014-2015. $750/month plus utilities. No pets. Culver, Indiana, Town Riggings Condominium: Immaculate 1 bedroom, 1 bathroom condo is located on Hwy 10, close to Culver Academies. One car garage with entryway into house. Bedroom can have 2 twin beds, or bring your own bed, and the owner will store the beds. Queen sleeper sofa in the living room. Sliding glass door to small deck out back, with seating area and grill. Kitchen offers range, microwave, refrigerator and dishwasher. Laundry room complete with washer, dryer, and laundry sink. No yard care required with this rental! No pets. Central air. $750/month includes gas, electric, water, and trash. Add $100 for DirecTV service. Available over the school year term. Culver, Indiana: Take in the view of beautiful Lake Maxinkuckee without having to pay the high prices of renting a house on the lake! This 3 bedroom, 2 full bathroom house can sleep 8. Two bedrooms downstairs, and the master upstairs. Spectacular views of the lake! Newly remodeled kitchen is an eye catcher. Central air is provided. Not pet friendly. Deck outside offers another wonderful view of the lake. 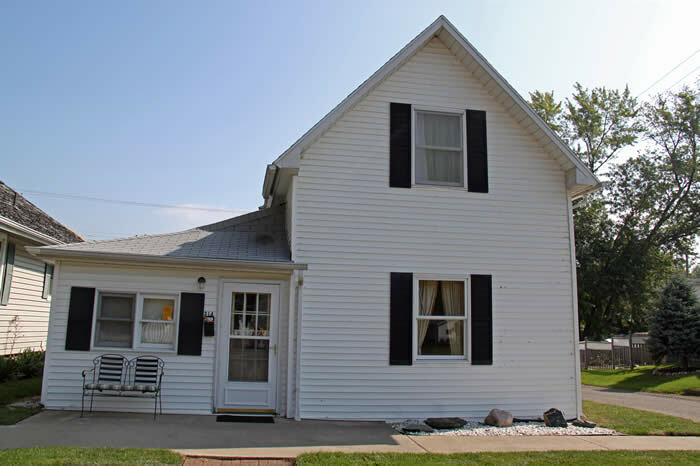 Culver, Indiana: Enjoy this clean, refurbished home on the south side of town. 4 bedroom, 2 1/2 bathroom home sleeps 10 and is three blocks from the Evil Czech Brewery and downtown. The original oak floors are gorgeous. Both bedrooms upstairs are carpeted; one bedroom has a full size bed, and the other has 2 twins. Full bathroom upstairs as well. Kitchen has also been remodeled, and has gas range and dishwasher. Two comfortable sofas provide plenty of room for relaxing while watching television. Dining table seats 4. Just off the dining room is a large bedroom with a queen. The other bedroom offers a piano as well as a full bed and half bath. Basic cable, Wifi, DVD player, Central Air, and Weber grill available. Culver, Indiana, Culver Academy: Looks may deceive, so don't underestimate the room in this apartment. 2 bedrooms and one bathroom, but can sleep 10 total! 2 double beds in one bedroom, and 1 queen in the other bedroom. Plus both sofas are sleepers in the living room. Dedicated carport parking in the back, grill, and private laundry room, with washer/dryer and access to a full unfinished basement providing lots of additional storage. This unit offers a recently renovated large eat in kitchen with granite counters, new cabinets, tile flooring, and stainless steel appliances. It also has central air. 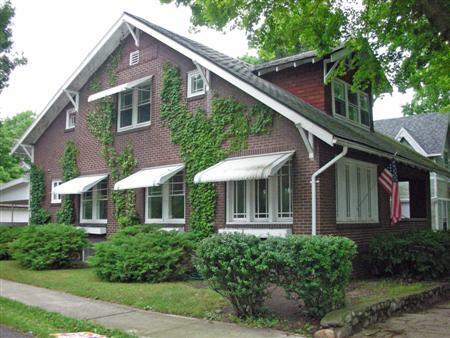 It is in close proximity to Culver Academy, restaurants and park/beach. Immaculate unit. No pets. 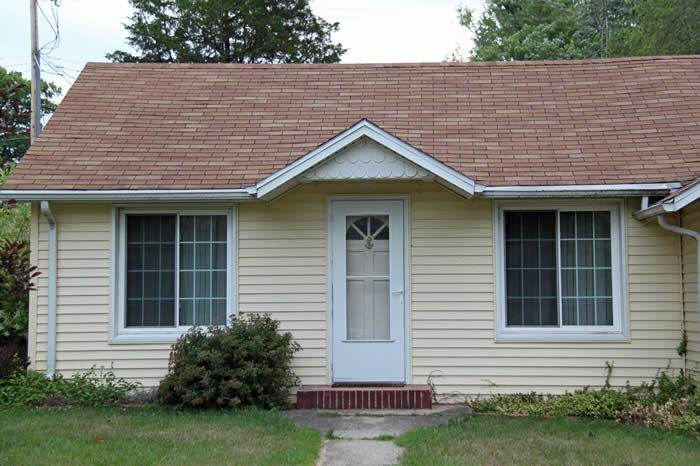 $930/month includes lawn service (no snow shoveling), extended basic cable/internet, water, trash, electric, and gas. 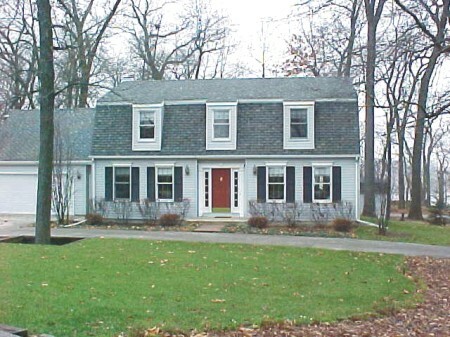 Culver, Indiana: Cozy rental to spend time with family during those Culver weekend events. Enter into the comfortable living room which is open to the dining area, breakfast bar, and kitchen for family to enjoy together time. A separate family room is in the back for some get-away time. 3 comfortable bedrooms, and 2 full bathrooms, plus space downstairs for the children. The master bedrooms has a king-sized bed, a second bedroom has a queen, and the third has a daybed/trundle. One bathroom is a tub/shower, and the other is a walk-in shower. Three gas fireplaces throughout to add to the comfort of this home, plus a small deck off the back. 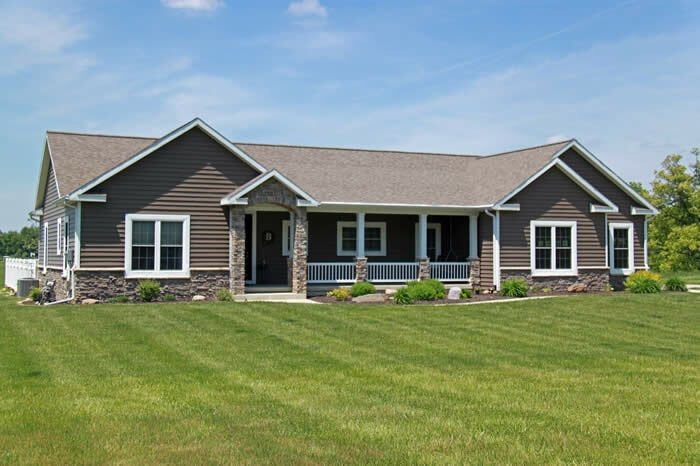 Culver, Indiana, Mystic Hills Golf Course: Beautiful new home located on the prestigious Mystic Hills Golf Course. 3 bedrooms and 2 bathrooms are located on the main level. Master bedroom with king bed has a private bathroom, and other two bedrooms with a full bed each, share a bathroom. Gorgeous open concept kitchen, dining and living areas. Lots of yard space, and inground pool in the backyard, fenced in, overlooking the golf course. Get comfortable on the porch swing or patio furniture while taking in the golf sights. Finished basement has a family room area and queen sleeper sofa, along with a full bathroom and kitchenette. 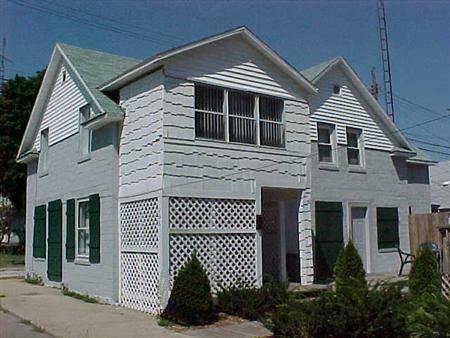 Culver, Indiana: Tri-plex near downtown Culver. 3 bedroom, 2 bathroom apartment on the east side of the building. One bedroom and full bathroom downstairs, along with large kitchen, living room and laundry room with washer/dryer. Mudroom off the back, and shared, screened-in front porch. 2 bedrooms and 1 full bathroom upstairs. Boiler system heat, no central air. Window a/c units are allowed. Private driveway parking in back, and use of garage if renter takes care of yard work. No pets. 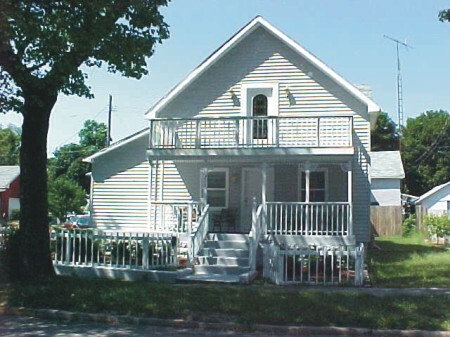 Culver, Indiana: 2 bedroom, 1 bathroom home on S. Main St. Washer/Dryer downstairs in basement area. Room for storage downstairs as well. Large yard. $550/month plus utilities. Culver, Indiana: This modernized home, complete with 2 master bedroom suites downstairs, and 2 ample bedrooms upstairs, sleeps 10 people comfortably. 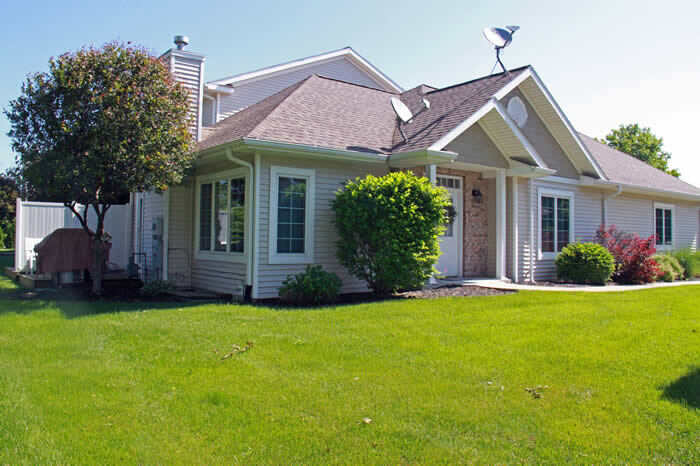 Situated close to town and with a view of Lake Maxinkuckee from the back patio, makes this rental appealing. TVs in every bedroom as well as in the living room, above the cozy fireplace. Attached 2 car garage and covered front porch. Open kitchen, dining and living room concept with a breakfast bar and stainless steel appliances. 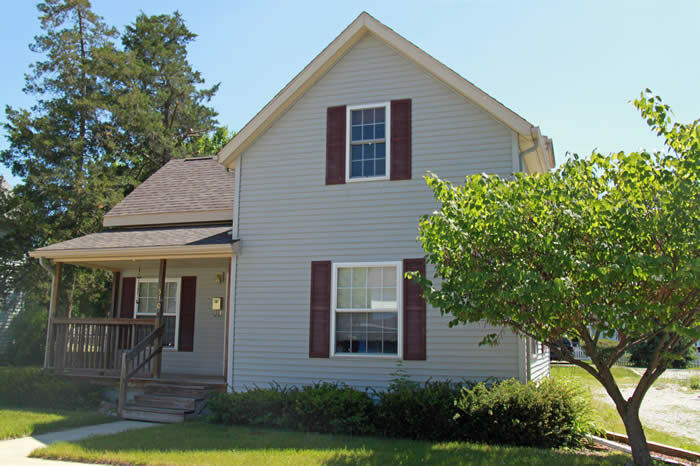 Conveniences include washer/dryer, internet, grill, outside seating area, and stocked kitchen. 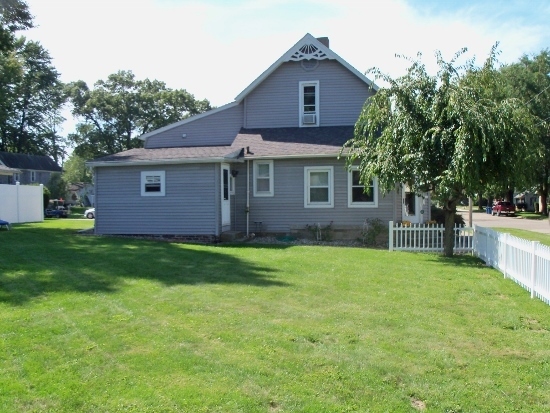 Culver, Indiana: This spacious, updated home in the country, just a mile from the south end of town, has 3 bedrooms and 2 bathrooms. The master bedroom with king bed and one bathroom are downstairs, and 2 other bedrooms, one with a full and twin, and the other with two fulls, are upstairs along with the second bathroom. Enclosed screened-in porch opens up to a roomy deck in the front. Larger deck is located off the back of the house. Lots of areas to get away to - living room, glassed-in porch area, and downstairs get-away for the kids. 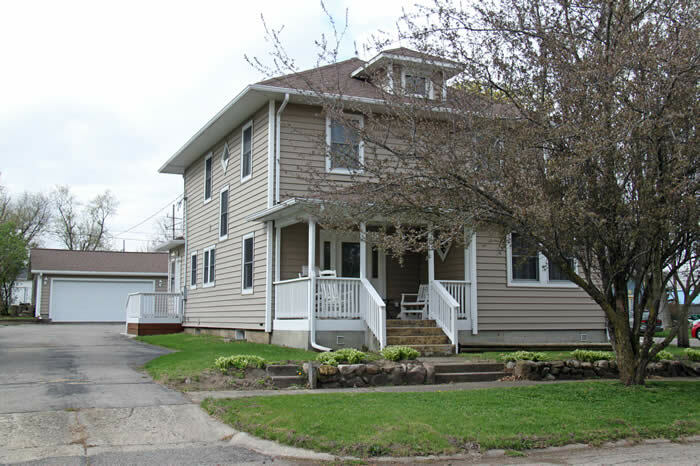 Culver, Indiana: Beautiful, older, furnished 5 bedroom, 1.5 bathroom home in central location - 2 blocksu from elementary school and close distance to park/beach and other areas of town. Relaxing, covered porch outside and enclosed porch inside with many windows. Window air conditioning units upstairs and downstairs. Full basement with washer/dryer and extra basement bathroom. Remodeled kitchen and upstairs bathroom. Carport and newer heating system. $750/month plus utilities. Summer rates: $850/week and $350/weekend. 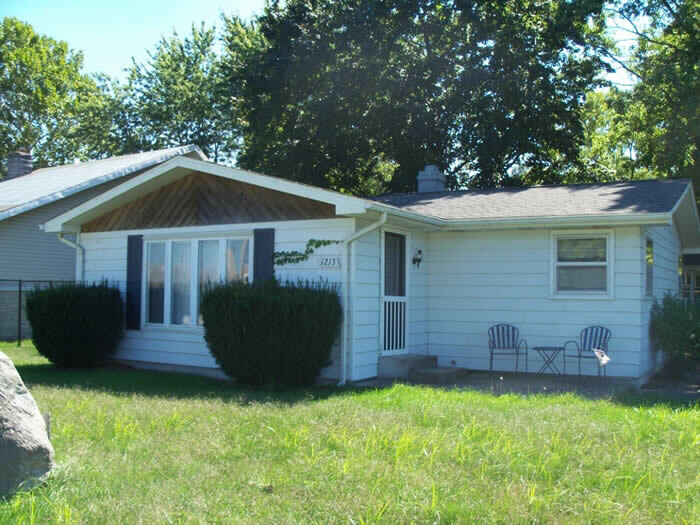 Argos, Indiana: This nice 2 bedroom, 1 bathroom home is located on Muckshaw Rd. just off of Hwy. 10. The kitchen is updated and there is a very nice, tiled room off the back of the house. Cute covered deck in the front, and small deck off the back looking onto the peaceful backyard. Central air, washer/dryer, water softener, refrigerator, stove, dishwasher all included. Pet friendly with pet deposit. 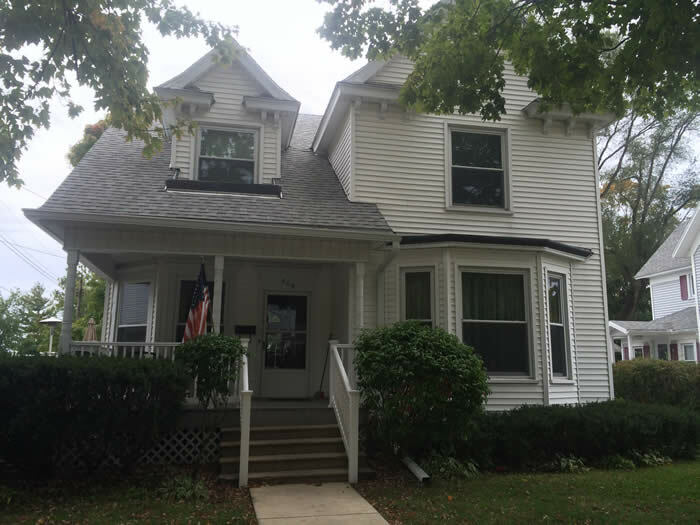 Culver, Indiana: This charming furnished 2 bedroom, 1 bathroom home is located centrally to the Culver Academies and Culver downtown schools. 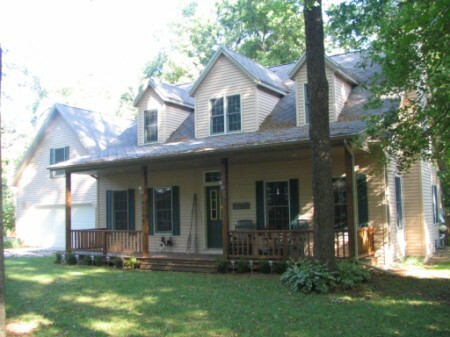 It is one level with a beautiful deck out back, and enclosed 3 season porch off the front door. Fenced in yard with fire pit for your enjoyment. 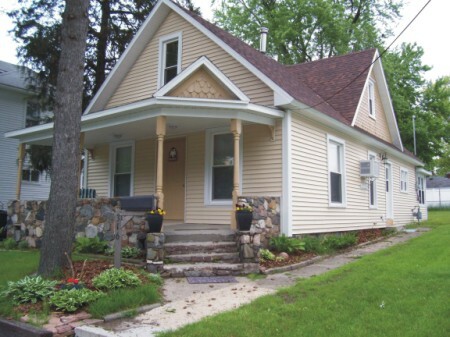 Year-round pricing: $800/month plus utilities, cable/internet and yard care. 1/2 garage may be available. 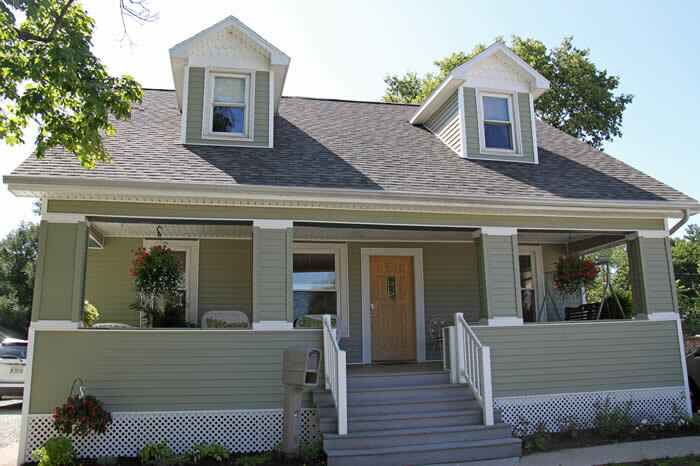 9 month pricing: $850/month includes utilities and yard care (doesn't include snow shoveling). 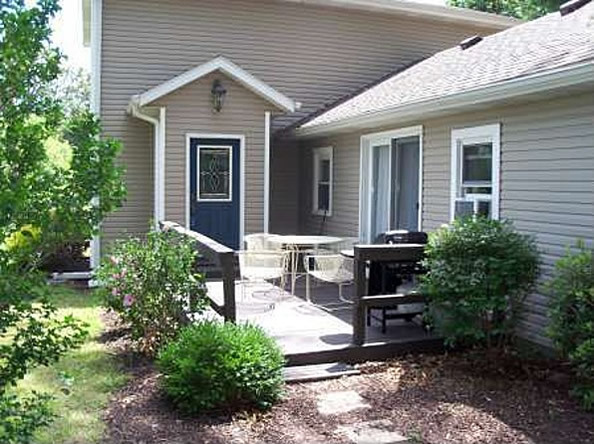 Culver, Indiana: Furnished 2 bedroom, 1 bathroom cute home has a view of Lake Maxinkuckee! Wonderful use of space in this home, as the dining and living room area is so spacious. Large dining table for family get-togethers. One bedroom has a queen bed, and the second bedroom has a full bed and bunk bed. Detached one car garage and patio off the back of the house. Central air and stackable washer/dryer. Only a mile to downtown Culver. 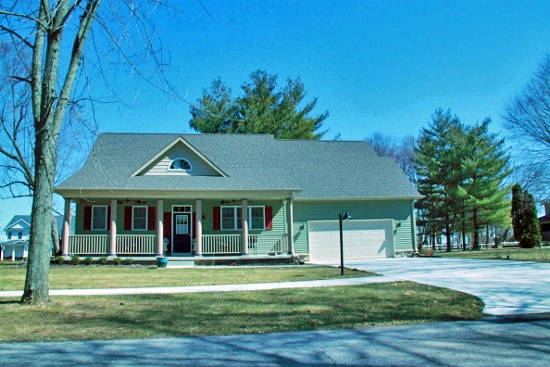 Culver, Indiana: Elegantly remodeled home near downtown. Three bedrooms, 2 full bathrooms (1 Jacuzzi Tub! ), washer/dryer & central air. Large back deck for entertaining family & friends. Detached one car garage. Relaxing and inviting environment awaits you. Culver, Indiana, Lake Maxinkuckee West Shore: Beautiful, large home in West Shore Circle can house 8-10 people.4 bedrooms (1 down and 3 up) and 2.5 bathrooms in this air-conditioned home. Master suite is upstairs with a queen bed. Other upstairs bedrooms each have a queen. The downstairs bedroom has a full. Washer/dryer included. Very pretty, quiet area of the lake. House rents for Culver Academy special events only. 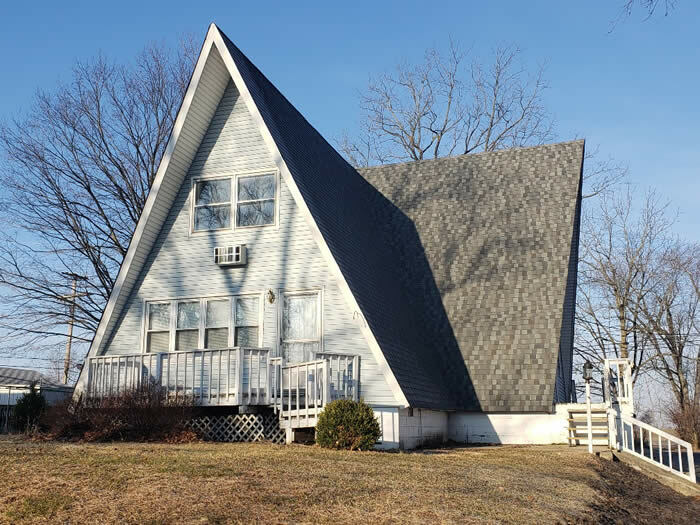 Culver, Indiana: Recently renovated 3 bedroom, 2 full bathroom home, has a view of beautiful Lake Maxinkuckee from many rooms in the house as well as from the open deck. The main level has an open concept, the master bedroom with queen bed, and full bathroom. Just blocks away from downtown restaurants, shops, library. 2 bedrooms upstairs with second full bathroom, queen bed in one, and 2 bunk beds with full size mattress on the bottom in the other room. Extra sleeping on front porch in daybed/trundle. $1100/month plus utilities. Culver, Indiana: Tastefully remodeled 3 bedroom, 2 full bathroom home just blocks away from downtown restaurants, shops, library. 1 bedroom downstairs has queen bed and attached bathroom. 2 bedrooms upstairs with second bathroom; one bedroom has queen bed and other bedroom has king bed. 45 inch, high definition TV with cable and DVD player. Wireless internet. Great porch to sit and relax. Updated kitchen with small table for 2. Very comfortable stay in a quiet location! $1300/month plus utilities. 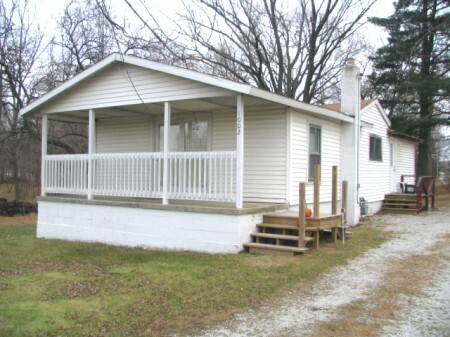 Culver, Indiana: Partially furnished, year-round rental on the south side of town has 3 bedrooms and 2 full bathrooms. 1 bathroom and bedroom downstairs and 2 bedrooms, den and bathroom upstairs. Full basement for storage. Window a/c units. Hardwood floors throughout. View of the lake on the east side. Culver, Indiana: Don't let looks deceive you... This one bedroom, one bathroom home has been completely remodeled, and makes excellent use of space inside! The galley kitchen opens to the living room space, and offers counter seating. New cabinets, new appliances, new flooring, new paint. You name it and it's new! So clean and comfortable. The bathroom is bright and cheerful. Brand new economy washer and dryer. $600/month plus utilities. Tenant responsible for yard work. 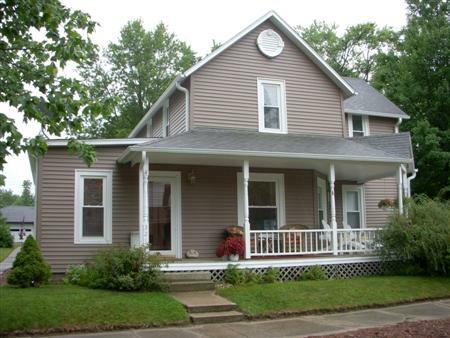 Culver, Indiana: 3 bedroom/2 bathroom home with a view of beautiful Lake Maxinkuckee. Enjoy the view from the cute covered porch. Deck on the back is inviting with comfortable patio furniture and can be covered with an automated awning. 1 bedroom down with queen bed and full bath across the hall. 2 more bedrooms upstairs, 1 with a queen and 1 with two twins, share a full bathroom. Central air, stackable washer/dryer. Full eat-in kitchen. Just a few minutes from downtown Culver. $850/month plus utilities. 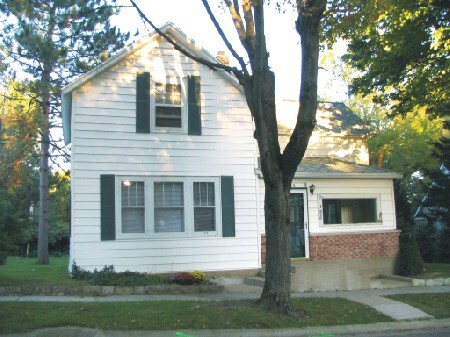 Culver, Indiana: Nice unfurnished 3 bedroom, 1 bathroom home, located close to Culver Academies and town park/beach. 1 1/2 car garage under the home with a garage door opener. Access to a finished basement throught the garage and by way of a stairway from the main level. Side yard is fenced with stairs to the kitchen and a gate to the driveway. Dining Room has a pass-through to the kitchen. Front door has a covered porch that has steps to the front yard and a sidewalk to the street and the driveway. $650/month plus utilities. Culver, Indiana: Wow what a lakeview with this house! Enjoy the beauty of Lake Maxinkuckee, only a mile from downtown Culver.This home is similar to a studio with an open floor plan upstairs. Gorgeous view of the lake from your bedroom upstairs as well as from the living room. Downstairs offers more space with a bedroom area and half bathroom with laundry. Wall air conditioner from master bedroom cools the upstairs. $600/month plus utilities.